Address: Junior Youth Services, The Basin Centre, Mater Dei, Basin Street Upper, Dublin 8. 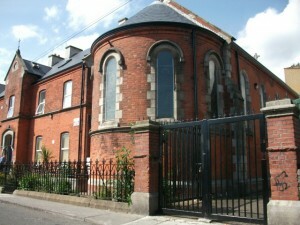 The Junior Youth Project was the first service established in the former Christian Brother’s residence. This service arose to meet two strands of need in the area. Primarily, its focus was to develop the youth in the area from the earliest possible stage. Further to this it provides a valuable care service for young, lone or working parents. The Junior Youth Service caters for 4 – 9 year olds. It splits into two different age groups (4-6yrs, 7-9yrs), in order for the children to be surrounded by their peers. Like the Crèche service, the children are given hot nutritious food once a day. The service provides a wide array of activities for those attending including: arts & crafts, physical training (including soccer training provided by a retired professional soccer player), dancing (hip hop & Irish), games/play time & homework help. The homework service is part of our ongoing commitment to preventing early school leaving through early intervention. The project also provides computer classes for the children in the locality. The classes cover basic windows operations to more advanced word processing procedures.